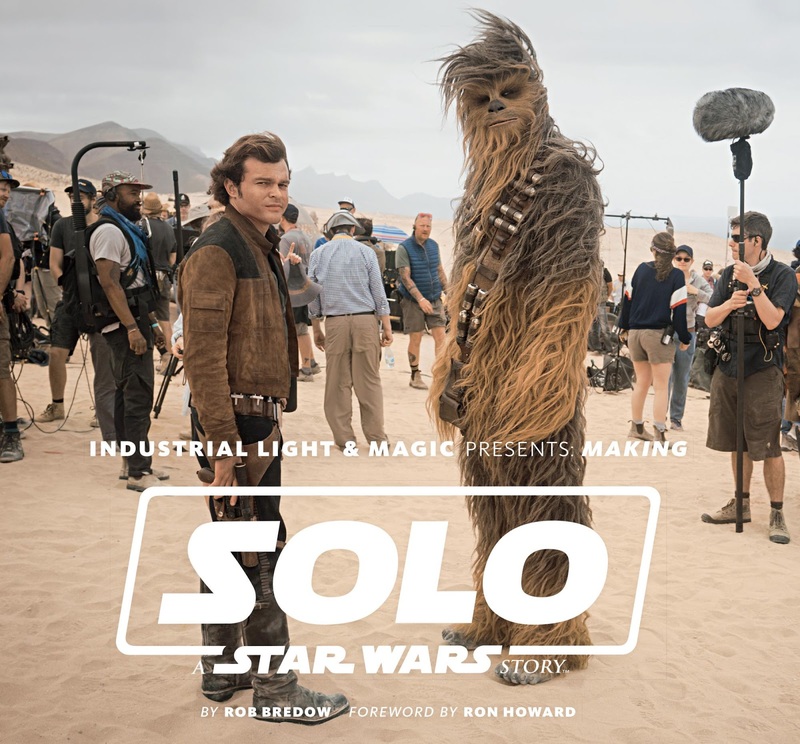 I was lucky enough to get my hands on this gem of a book published by Abrams, It's called Industrial Light & Magic Presents: Solo: A Star Wars Story and I have to say it is easily as good as the other "behind the scenes" Star Wars books that you may have in your collection such as the ones by Jonathan W. Rinzler. The book is written by ILM guru, Rob Bredow who was the visual effects supervisor for the movie and in fact was nominated for an Academy Award for Solo: A Star Wars Story in 2019. It goes without saying that Bredow is most definitely one of the most qualified to write a detailed book on the work that goes into bringing a Star Wars story to life and in particular the wonderful visual effects. The book really does feel like a fly-on-the-wall documentary and boasts a logical layout throughout its 256 pages. From pre-production to production and finally the post-production, we get to see how aliens, droids and vehicles were created, tackling location shots and inspiration for props. The advantage of having a person from ILM write the book really shows and Bredow does an excellent job of explaining the techniques used. It is a rare detailed insight into making a Star Wars movie. The book boasts a foreword by the director of the movie, Ron Howard, over 300 colour illustrations and all packed into 256 glossy pages. It's out on April 16th with a RRP of $50/£35.